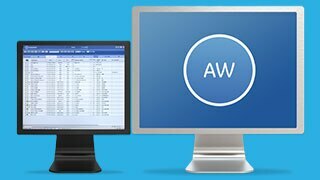 AW Server is your platform for an efficient and automated workflow, allowing you to better manage your time, equipment resources and costs while enhancing your team's ability to collaborate and provide a diagnosis. 1. Subject to minimum specifications - see Client Specifications section for more details. Integration with PACS/RIS for stand-alone workflow, PACS-driven workflow, and RIS-driven workflow. For more than 20 years, GE's Advantage Workstation (AW) engineers have developed diagnostic applications that have lead to a robust clinical workstation across all areas of care-oncology, cardiac, neurology, gastroenterology, orthopedic and vascular. Radiologists' and clinicians' desire for a deeper understanding of pathological processes has led to a shift from a mere anatomical approach to medical imaging, to one that includes functional and quantitative analysis. This approach to diagnostic imaging has led to an explosion in the quantity of data clinicians must review, manage, and interpret. Recent information technology advances can help address the challenges of large image data management by offering new opportunities for the mobility of data, remote consultations, and access to information from virtually anywhere there is an available internet connection. "Now, we don't have to commute to the hospital, which can significantly improve our quality of life." The migration from analog to digital and the elimination of film has led to radiology groups creating remote reading rooms where radiologists read for more than one institution. In Feb 2010, Toda Central Medical Group (TMG) opened a remote reading/ interpretation center "Sai Teramedo". The center reads for 15 facilities, including a screening center at Toda Central General Hospital, Atami Tokoro Memorial Hospital, and Shin Niiza Shiki Central General Hospital. Total monthly reading volume is: 421 CT; 351 MR; 2,140 general X-ray; 322 fluoroscopic; and 444 mammography cases, for an approximate total of 3,700 cases. Two radiologists are staffed each day at Sai Teramedo and use the AW Server for reading medical imaging studies. "Our radiologists are simply just more efficient…Everything they need to analyze, view, and report a study is available on one workstation." Radiology embraced the digital revolution more than 20 years ago. In most hospitals today, radiologists perform their diagnoses in virtually an all-digital environment. Alternate care sites-clinics and physician offices-are quickly following in the same direction, if they are not already there. However, as imaging and information technology advanced at varying levels over the past two decades, radiology departments have become a multisystem environment. As a result, radiologists utilize an array of systems-many from different manufacturers-to read and report the patient diagnosis. These systems include, but are not limited to, PACS, RIS, HIS, Speech Recognition, and advanced image processing. "Because it's much easier to use, you tend to use it more, and therefore you use all the power of AW in your analysis of a case because it's so readily convenient"
Only available on AW Server XL and AW Server XXL configurations. GSI Viewer application is limited to one instance on Server XL configuration and two concurrent instances on Server XXL configuration.